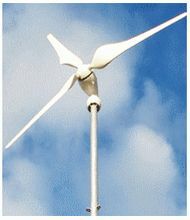 Enerlice has qualified its whole range or EOLFORCE wind turbines according to tried and tested criteria of technical selection and durability, linked to it experience of the industrial world. These models use a technology which is both advanced and sturdy, and benefit from rigorous assembly and testing. They are assembled and qualified on a test bench.